We are now more than half way through the year and 2017 continues to be an incredibly active year for Pay for Success and evidence-based policy and practice. At the federal, state and local levels, new policies are being introduced and implemented and we are seeing new initiatives being developed that bring a greater focus on and use of evidence, data, and outcomes in the allocation of government resources focused on trying to measurably improve the lives of all Americans. With all of this activity underway, America Forward held its third Pay for Success and Evidence-Based Policy Network call recently to discuss the current “State of Play” in Pay for Success and evidence-based policy and practice. This post reflects the major updates provided during that call and additional resources needed to access more detail about each major piece of legislation, Administrative initiative, and state level effort. Appropriations: With passage in May of the Consolidated Appropriations Act of 2017 to ensure funding for the federal government through the current fiscal year (Fiscal Year 2017), Congress was able to move to working on appropriations bills to ensure federal funding levels are set for the upcoming fiscal year (Fiscal Year 2018) by October 1st. Current Status: A number of individual appropriations bills have been introduced in both the House and Senate and hearings have been held or are scheduled in both. In the House, the Labor-Health and Human Services-Education Subcommittee introduced its bill which was recently successfully voted out of the full House Appropriations Committee. With August recess quickly approaching and the current fiscal year coming to an end on September 30, there is not a clear path forward for how Congress is going to complete a regular order appropriations effort in this time. As a result, there are already discussions regarding a short-term continuing resolution and/or an omnibus bill. Social Impact Partnership to Pay for Results Act: This legislation was previously introduced in both the 113th and 114th Congresses. A comprehensive Pay for Success bill, the legislation would direct federal resources to states and local communities to support innovative Pay for Success arrangements. In January, led this time by Rep. Tiberi (R-OH) and Rep. Delaney (D-MD), H.R. 576 Social Impact Partnership to Pay for Results Act, was introduced with bipartisan support. In April, Senators Young (R-IN) and Bennet (D-CO) introduced their version of the bill, S. 963 Social Impact Partnerships to Pay for Results Act. Senators Booker (D-NJ) and Collins (D-ME) were original co-sponsors of the bill. Current Status: The House bill was quickly moved through both the Education and Workforce Committee and the full House in June and was referred to the Senate for debate. There is no current Senate version of the bill and it is unclear what the timeline for development, introduction, and passage of such a bill in the Senate is. Increasing Opportunity through the Evidence-Based Home-Visiting Act: In June, Rep. Smith (R-NE) introduced H.R. 2824 Increasing Opportunity through Evidence-Based Home Visiting Act to reauthorize the Maternal, Infant, and Early Childhood Home Visiting Program. An evidence-based program since inception, this legislation not only reauthorizes the program but also adds in an option to use a Pay for Success (referenced in the legislation as Pay for Outcomes) approach to allocating the dollars associated with the program. Current Status: There is strong interest in the home visiting community for ensuring that this legislation passes. Though there is no Senate version currently, active conversations are underway to develop a similar bill to the House version. 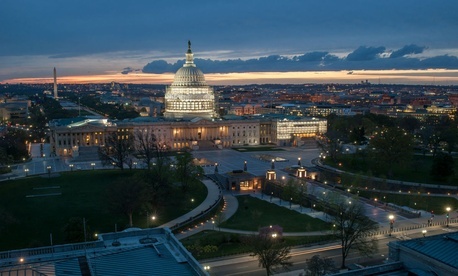 Two-Generation Economic Empowerment Act: Introduced by Senators Collins (R-ME) and Heinrich (D-NM), this legislation would establish a new interagency council focused on multigenerational poverty and within the context of the work of that group create both a Performance Partnership Pilot Program and Social Impact Bond Program (language used in the bill) focused on identifying and funding interventions that are focused on breaking the cycle of multigenerational poverty by improving family economic security through implementation of two-generation programming. Current Status: This bill was introduced in the Senate and referred to the relevant committee, Health, Education, Labor, and Pension. There is no identified timeline for moving the bill and there is no House version currently. Innovation for Tomorrow’s Workforce Act: Introduced by Senators Bennet (D-CO) and Hatch (R-UT), this legislation would create a new innovation grant program within the Perkins Career and Technical Education program as well as would establish authority to use Pay for Success contracting within state leadership and local funding activities. Current Status: This bill was introduced in the Senate and referred to the Health, Education, Labor, and Pensions Committee. There is no identified timeline for moving the bill. Community College to Career Act: In March and April of this year, the Senate and House respectively introduced identical bills entitled Community College to Career Fund Act. S. 620 and H.R. 2207 would create a new grant program within Title I of the Workforce Innovation and Opportunity Act (WIOA) focused on supporting community college and industry partnerships to develop, offer, improve, and provide educational or career training programs for workers. Within this context of this new program, Pay for Performance and Pay for Success (the legislation defines these two options differently) authority is provided. Current Status: These bills were introduced and are supported by only Democratic members of Congress currently. Since introduction, neither bill has had a hearing nor is it clear if there is a path forward for either. Pay for Student Success Act: Introduced by Senators Bennet (D-CO) and Hatch (R-UT), this legislation would create a new Pay for Success initiative in the Higher Education Act that supports the development of innovative, evidence-based strategies to increase college retention and completion for low-income and first generation students. Current Status: This bill was introduced in the Senate and referred to the relevant committee, Health, Education, Labor, and Pension. There is no identified timeline for moving the bill. Department of Agriculture’s Natural Resources Conservation Service (USDA/NRCS): One of the competitive grants the USDA awards every year is the Conservation Innovation Grants (CIG). These grants help drive public and private sector innovation in resource conservation. Starting in Fiscal Year 2016, Pay for Success approaches were explicitly included in the description of how these grants could be used and two entities were awarded grants that year that included developing or implementing Pay for Success approaches. In June, NRSC announced more than $22.6 million to 33 projects through the CIG program and two entities incorporated Pay for Success contracting this time into their grants. Chesapeake Bay Foundation (PA): Focused on bringing Pay for Success Models to Agricultural Conservation and Stormwater Compliance. The project would be the first of its kind attempt to pilot a cost-effective approach for municipalities to meet stormwater requirements while transferring the risks of effective implementation from local governments to impact investors. I2 Capital (DE, MD): I2 Capital proposes to develop a Pay for Success approach to attract private impact capital to fund conservation practices on farms in the Brandywine Christina Watershed in Delaware and Pennsylvania. Upfront investments on the ground will be repaid by downstream beneficiaries (e.g., utilities and municipalities) after achievement of predetermined environmental outcomes. Not only has Congress been incredibly active in introducing pieces of legislation that focus on innovation, evidence, and Pay for Success but states have continued to lead the way with a number of bills introduced in state legislatures this legislative season. Below are highlights of some of the bills that showcase the wide ranging application of the approaches and the bipartisan nature of the concepts. Delaware: This legislation directs the Office of Management and Budget, the Department of Finance, and Office of Controller General to evaluate the potential for application of Pay for Success methodology in the State. The bill passed successfully out of the House. Idaho: Introduced by Senator Nonini (R), this legislation is focused on using Pay for Success contracting to help children and in pre-school and elementary grades 1 through 3 to obtain better reading skills through issuing private sector contracts that would carry all the risk if those private sector providers do not measure up to the metrics set by the state. The legislation successfully made it through the legislature and was signed by the Governor in March. Louisiana: This legislation, which was signed into law by the Governor in June, authorizes the use of outcomes-based performance contracts by the Coastal Protection and Restoration Authority for integrated coastal protection. Pennsylvania: In April, this legislation was actually reintroduced in the Pennsylvania House of Representatives and would establish a Pay for Success Pilot Program and the Pay for Success Trust Fund within the authority and duties of the Office of the Budget and the Independent Fiscal Office. Texas: Parker, who introduced Pay for Success related legislation in previous legislative sessions, introduced a bill that would allow a school district or open-enrollment charter school to use a Pay for Success program approved by the Commissioner of Education. The legislature adjourned without advancing the bill.